If you've scooped cat litter a few thousand times, you might have wondered if there's an easier way. 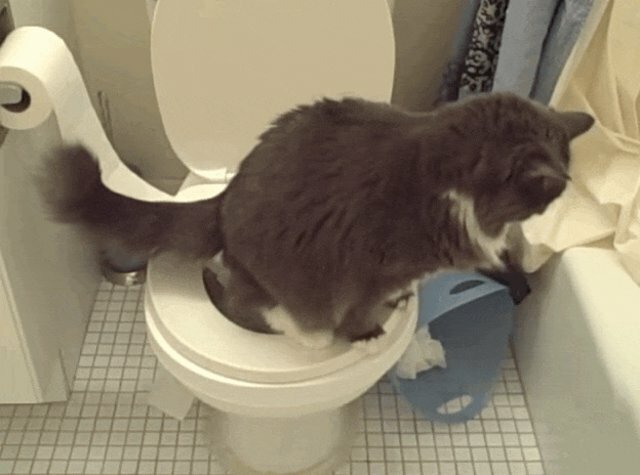 A brief Google search shows certain methods that claim to teach cats how to use the actual toilet, rather than shitting in a plastic box. But skepticism might have intervened - would MY cat actually be able to do that? And how often does that cat shown in the videos ACTUALLY use the toilet? And does he ever leave a rebellious pile or puddle somewhere around the house? We asked some experts - Danielle Bays, community cats program manager for The Humane Society of the United States (HSUS), and Dr. Rachel Barrack, a veterinarian in New York City - what they think the pros and cons of potty-training a feline are. And what we found out was actually kind of surprising. Both experts favored the traditional cat box - in a big way. "Although teaching a cat to use the toilet may sound like a convenient idea, in actuality it is not best for your cat," Dr. Barrack said. The HSUS "does not recommend that people attempt to train their cats to use a toilet bowl due to the overwhelming number of cons." The pros are seemingly obvious: Less litter to scoop, more room in bathroom. They're pretty much intuitive. But there's a whole list of cons. Can be stressful. Straddling a toilet seat may be difficult and cause stress, particularly to elderly or very young cats, or cats who have health problems. And "accidentally falling into the toilet bowl can be traumatic for a cat," Bays pointed out. Can make it more difficult to monitor a cat's health issues through examining a cat's urine or poop. "Monitoring your cat's urine and feces is an important tool," Dr. Barrack said. Also, Bays pointed out, a cat who uses the toilet doesn't necessarily mean less work for you. "You need to train your family and house guests to leave the lid up - and you just finally taught them to put it down!" she said. Inevitably, the lid will get left down at some point, which could cause a surprise on the seat if the cat is the next one to use the bathroom. Also, it's a truth universally self evident that poop stinks. "Poop still stinks and you still need to clean the 'litter box,' aka toilet bowl," Bays said. 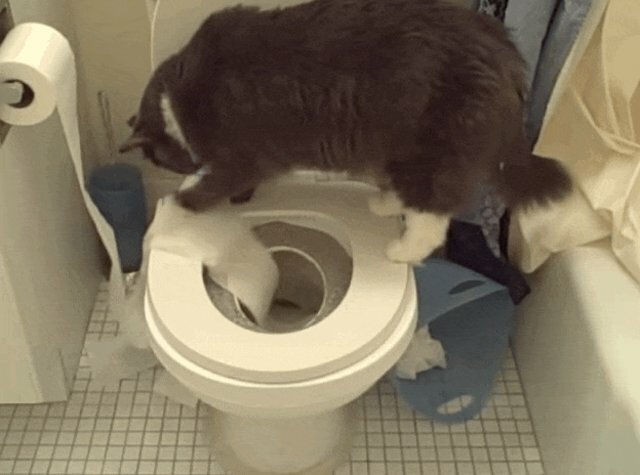 Dr. Barrack agreed: "Unfortunately, cats can't be taught to flush so the smell will remain, and eliminating odor is what most people assume will be the result of teaching cats to use a toilet." But more seriously, cutting the litter box out of your cat's life could have a backlash. 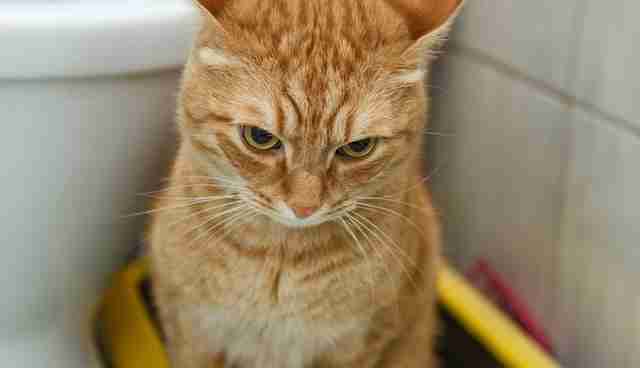 "Denying your cat the ability to be a cat can cause other behavioral issues," Bays said. And Dr. Barrack pointed out that cats can be territorial. "This can be a problem if there is one toilet in the household," Dr. Barrack added. 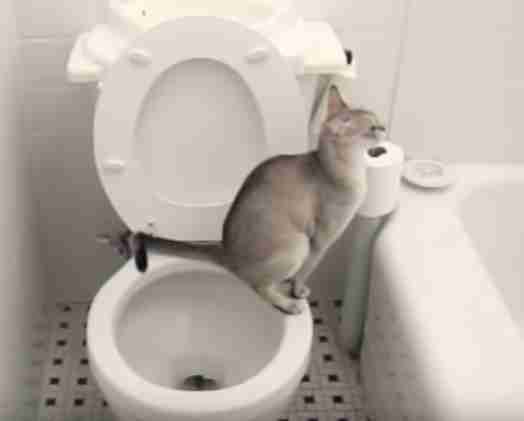 Still, there are some cats who will use the toilet all on their own, Bays said. "That's their choice, but I'd still give them a litter box option as well." And why shouldn't you give them all the options? They already rule your life - and we love them for it. If you'd like to adopt a cat of your own, check out Adopt-a-Pet.